A game that can be played in pairs, threes or independently. 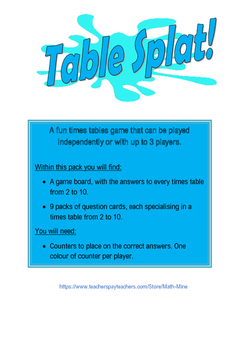 This game focuses on times tables facts from 2 to 10. 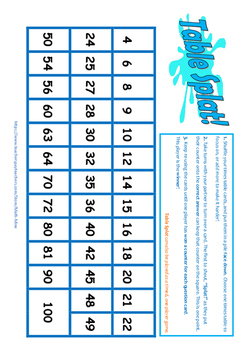 Children need a 'Table Splat' mat and counters (different coloured counters for each child). 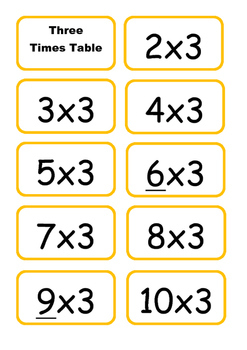 Children take turns to turn over a card, revealing a times tables question. The child who is the first to place their counter on the correct answer (whilst shouting, 'Splat!') can leave their counter on the board. 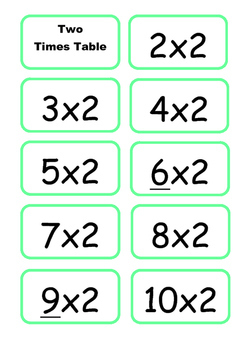 The winner is the player with the most counters on the board once all of the times table cards have been used.